Hey! Remember when you were a kid and you were really into comic books? If you’re like me, you had your favorites (Superman and Iron Man for me) but what really binds us all together, no matter who your favorite hero was… we fantasized about having a superpower! Don’t try to deny it. We all did it! Imagine having a power or skill that enabled you to do things that nobody else could: fighting crime and injustice, being able to fly — just imagine how popular you would be! Everyone would want to be close to you! Wouldn’t that be a dream come true? But it could probably never happen…Or could it? While I’m on the topic of popularity, it’s something that many of us crave. I know I did. I believe it is a basic human need — the desire to be accepted. Sure, I had my own circle of friends, but I was never one of the cool kids. I guess most of us were never one of the cool kids. But we wished we were. Everything they did was great. Their jokes were always funny, they were always happy and they felt comfortable in every situation. Did you envy them? I sure did. So after school I went into the military and then got a steady job, got married, and had kids. I was very happy, so the fact that I was never one of the cool kids faded into the background…mostly. But part of me still craved having a superpower! And then I found it!!! I had been studying psychology and NLP for several years and then I discovered something that changed my life! You may not know me. My name is Sean Michael Andrews, and yes, I have a super power. I am known as the World’s Fastest Hypnotist. I have taught these instant hypnosis techniques in 17 countries on five different continents and I have appeared on television in four countries. I was well into my forties when I discovered Instant Hypnosis and it has changed my life! Yup…YOU can become one of the cool kids. It’s a strange thing, but people treat you differently when you’re a hypnotist. They tell wild, fun stories about you to their other friends. “We were out in a pub with HIM and he hypnotized the waitress and made her think that our other friend was the most handsome guy in the world! It was CRAZY!! !” No matter where I am, people BEG me to show them hypnosis. Does this sound like fun to you? It is MORE than fun!!! I was with my wife in a restaurant and the waitress found out I was a hypnotist. “Oh my God! I have ALWAYS wanted to be hypnotized!! !” she gushed. When she returned to our table, she brought her manager who also wanted to be put into trance. I wound up hypnotizing 15 people that night and I can say that it is a night I will never forget…and the people I hypnotized won’t either! Just think about what that would feel like!!! Aren’t you completely done with being average Joe? Sometimes part of us thinks, “Sure, THAT guy can do this, but it wouldn’t work for me!” But what if it would work? What if I could teach you how to do exactly what I do and there was absolutely no risk to you? I was visiting friends in North Carolina. They told all the neighbors that I was a hypnotist and invited them over. By the end of the day I had hypnotized at least a dozen people, using the techniques I teach you in this product, and it was just an amazing afternoon! Here’s a little video snippet of the shenanigans! More importantly, I have taught hundreds of students all around the world to do exactly what I do. Imagine being at a party where everyone wants to talk with you, be around you, and marvels at your abilities. Suddenly you have become the center of attention. You ARE the cool kid! There is a special feeling that you get when you drop someone into instant trance. You see the head drop and the shoulders slump. For a fraction of a second you think, “Did that really happen? !” Then you get a surge of adrenaline as you realize that YES! I really did this!! After thousands of instant inductions, I STILL get this feeling! And it never gets old…NEVER! Yes, you too can experience this feeling. But maybe you’re thinking that the techniques must be difficult to learn. Imagine super-rapid hypnotic techniques so powerful that they will work on virtually anyone you want to hypnotize, whether it’s a client you’ve known for a long time or a complete stranger at a party. You will be amazed at how quickly and how well these inductions work! My all new, second edition “Instant and Rapid Inductions” will take you step by step through the entire process of performing instant and rapid inductions, starting with a short yet sure-fire pre-brief which convinces your subject that they will have a wonderful experience in hypnosis! The reviews were fantastic, and I was feeling really good about the product. So you want to hypnotize someone fast and effectively? This is the DVD for you. Sean Michael Andrews provides you with everything you would want to know, everything you did not know you needed to know, and great demonstrations on this DVD. He covers what to do, what not to do, how to figure out what others are doing, how to be safe, how to take great care of your vict…the person you are seeking to hypnotize. His instruction is intelligent and easy to follow. I highly recommend this set, a great value for the price. Just wanted to let you know that the DVDs arrived on Tuesday morning. I ran home & dove in immediately. FANTASTIC!! Worth every penny & more. I’ll apologize in advance for the long message. I just really want to tell you how excited I am. The value I’ve gotten from your DVDs is this: I knew hypnosis worked because I’ve done it & experienced it myself on some levels. I now have more understanding of how & why it works…The understanding & knowledge I’ve gained from you has enabled me to do this with complete confidence…And just so you know…yes, I got the DVDs in the morning & that very evening I was out, lining people up & knocking them down! It was AWESOME! Your step by step breakdown of each induction & when or why you usually use them, was invaluable as well. The Elman breakdown & the use of suggestions & actually achieving amnesia, positive & negative hallucinations to test for depth…WOW! That has totally eliminated ANY fear of failure that I had…Your trouble shooting methods pretty much guarantee success anyway. The coverage of every area of concern, from the approach & pre talk, right through to emerging the subject & all points between was MORE than thorough…And your teaching skills are absolutely second to none. Thank you, so very much, for sharing your knowledge. I am a changed person. My level of confidence has exploded. I feel like I have 20 years of experience in hypnosis instead of 2 years & I am more excited than ever! Fantastic DVD set! Your second edition of Instant and Rapid Inductions is second to none. A fantastic product that will skyrocket any hypnotist’s skill and learning. I’ve spent thousands of dollars on live trainings and DVDs, most don’t come close…these DVDs have an amazing amount of material explained and demonstrated. These DVD’s have the highest production value of any hypnosis DVD set I’ve purchased. I’d be surprised if anyone could find a more professionally composed hypnosis product. It was going to take some work and it wouldn’t be easy! Dale Garner traveled with me to Ottawa, Las Vegas, Annapolis, Ocean City, Charlotte, and Tampa. He filmed me live – teaching, demonstrating (in the classroom and out in the wild) and then he went to work. With over 90 hours of video tape, Dale Garner edited a product that we are VERY proud of. This is the “gold standard” in hypnosis educational products and I guarantee you will be VERY satisfied. Now You Can Get an Instant Digital Download! Even if you already own the first edition of “Instant an Rapid Inductions,” you might be wondering if this brand new Digital set is really worth the money. My answer to you is an emphatic YES! This is many times better than the original and you will be completely satisfied. If you are not completely satisfied and do not feel that this product is worth twice the money you have paid, I will buy the product back from you! All of my products come with an iron-clad guarantee. I stand by my products and I guarantee the quality of my products absolutely. After 60 days, if you are not completely satisfied I will refund all of your money. Does that sound fair? I guarantee you will be satisfied with the content of my products. The last time I looked at instant hypnosis products on the web, I noticed that none of the other ones had any sort of guarantee. If you check around, you may notice the same thing. I stand by the content of my products because I believe they are the best instant hypnosis products available, so here is my second guarantee. If after 60 days, you are dissatisfied with my product for any reason, or for no reason at all, I will buy the product back from you! That is how sure I am that you will be satisfied with my products! I was teaching a class in Stevenage, a town north of London. After class we went to the hotel bar for some hypnosis fun. Rachel, our bartender, wanted to be hypnotized, so of course I obliged. After I made Rachel forget her name and forget how to count, I decided to give her a personality change. I turned her into the model employee! The change was striking! After I suggested that the bar needed a little tidying, Rachel zipped around the establishment, collecting empty glasses and furiously wiping up spills on the tables. She then insisted that I accompany her to meet the hotel manager so that she could ensure that my classroom, sleeping room, in fact my entire experience at the hotel was satisfactory. The manager asked if I could perform this magic on the rest of her employees! – The Distraction Filter – whether you’re on the street, the stage, or even in your therapy office, you can never completely control the environment. Learn how to help your subjectstune out all distractions and stay deeply hypnotized, even in the loudest, busiest settings! Instant inductions are valuable not only to street hypnotists, but also to hypnotherapists and stage hypnotists for demonstrating hypnosis and as powerful convincers. Even if you’ve been fortunate enough to attend one of my classes in person, this digital download is invaluable to have on hand to continually review and refresh your knowledge. So what are you waiting for? Order the all new second edition “Instant and Rapid Inductions” digital download for only $149.95 — and watch your success rate go through the roof! Kenda Summers CH. ~ Ottawa, Ontario, Canada. Sean’s teaching method is real world, down to earth, and easy to understand. It’s so much fun to watch that I found myself nodding my head and laughing along with him. Most hypnosis trainings videos I have seen in the past have the instructor standing in a room in front of a white board teaching to a room of bored students. (This is not that, thankfully!) Sean is so genuine, I was engaged by him from the moment I started watching and found myself wanting more when it was over. I received the Instant and Rapid Inductions Second Edition DVDs and I have to say they are really phenomenal. I’m about finished with my second viewing of the material. The information is really fantastic and the small details given on the inductions filled-in what I had been missing. In addition, the production quality and editing was really outstanding. At first I was a bit bothered by how all the different footage was edited together. But I quickly realized that what you and Dale had done was quite brilliant in how you showed the inductions in many different circumstances and with many different people. It was very skillfully done and it made a big difference. You both should be very proud. In my other life, I have created and produced training courses for many years, so I can recognize a great teacher when I see one. It is a pleasure to receive such high quality training from a great teacher like yourself. I’m very happy that I purchased these DVDs and I will be getting more of your training in the future. These DVDs are highly recommended! You are going to be so surprised at how easy it is to learn this stuff!! I guarantee you will be satisfied with the content of my products. The last time I looked at instant hypnosis products on the web, I noticed that none of the other ones had any sort of guarantee. If you check around, you may notice the same thing. I stand by the content of my product because I believe they are the best instant hypnosis products available, so here is my personal guarantee. If after 60 days, you are dissatisfied with my product for any reason, or for no reason at all, simply request a full refund. That is how sure I am that you will be satisfied with my products! Couldn’t wait to get your new DVD set “Instant and Rapid Inductions” and once I got them, I was blown away! Wow! So much information for so little money. This is one of those sets that every hypnotist should have in their collection. I have been doing stage and clinical hypnosis for a while now and I gotta say, I learned things from you right from the start! The classroom setting combined with actual “live” footage gives the viewer exactly what they need to do use these techniques. I, like many, have spent money after money just hoping to get a quality product that teaches what I need to know and this product has surpassed my expectations! Well worth every penny anyone will spend whether you are new to this business or a veteran. Thanks for a super DVD set! 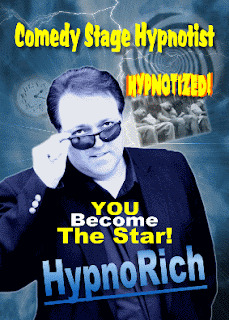 I must say, your DVD’s are among THE BEST I’ve EVER watched on Hypnosis!!! Everything went right AND wrong (almost wrong) IE: Subject NOT losing the numbers while doing Elman, yet you made an INSTANT and awesome change to put her under. I’ve watched BOTH DVD’s 3x each, My gosh you are GREAT !!!! The info so far is Priceless !!! Again THANK YOU….. I recently purchased your instant and Rapid Inductions DVDs and I am absolutely thrilled at what I have learned. Your program was exactly what I need, not too much, not too little. It’s very comprehensive in scope of information yet “at eye level” of the average person. If that’s not enough, you reinforce the information with multiple demonstrations and follow that up with the students applying what they learned. So it’s packed with theory, demonstrations and practical applications. Outstanding job, Sean! I am on my way to mastering this and having an alternative to progressive relaxation inductions. If you ever bring your program to Atlanta, Georgia, I will be front row, center. Thanks for producing your dvd’s. I had two shows this past week-end, the 15th and 16th, and I used the arm pull induction and it worked perfectly. So I wanted to say thanks and that I am recommending the dvd’s to other hypnotists. Sean Michael Andrews is widely acknowledged as the `World’s Fastest Hypnotist.’ He has trained hundreds of hypnotists worldwide in his spectacular methods of instant induction. This two DVD training set is a film of one of his instant induction seminars. The DVDs begin with some demonstrations of instant and ‘super rapid’ inductions, just to show you what you will be capable of after watching the DVDs. The demonstrations are particularly useful simply because they aren’t just done on friends and loyal students in a seminar room, but with real unconditioned people out on the street. Before Sean goes into the specific Instant Induction techniques he begins with a little “focused relaxation,” a great little hypnotic induction (which, even via DVD, was very powerful!) aimed at allowing you to learn the techniques of instant and rapid inductions quickly and easily. Once your unconscious mind is on task, the techniques begin. Rather than teach new methods, Sean focuses on the more traditional techniques, and teaches them very well. The first technique taught on the video set is the Elman induction. Starting with the stretched out three to four minute version Sean takes you through shortening the Elman induction until you can reliably do it in just a few seconds. The three instant induction techniques taught on the DVDs are the arm-pull induction, the hand drop induction, and the handshake induction. The hand drop induction is very well covered. First there is a discussion of the instant induction theory which thoroughly covers the academic side of instant inductions and is ideal for those who need things explained logically and scientifically. Next you see a demonstration of the hand drop induction on a student at the seminar and a discussion of the technique. Sean goes into great detail on the mechanics of the induction, exactly when to pull your hand away, when to say “sleep,” how to catch your subject and, of tremendous importance, deepeners. Both verbal and kinaesthetic deepeners (head rotating etc.) are very well covered. Sean is also very responsible and safety conscious, and teaches you how to ensure disaster doesn’t strike. After this the arm pull induction method is taught. With both the traditional version and the Gil Boyne version covered in great detail, with the theory and mechanics well explained, and great demonstrations on students. After this you get to watch his students practice the techniques on each other. It’s great to see them walking around knocking each other down in just a few seconds, after only a few hours of training. Following this Sean talks about confusion inductions, and demonstrates a handshake induction on a very surprised and soon deeply entranced student. He talks about more sneaky surprise inductions, basically how to instantly hypnotize someone who is not expecting it. This is a very fun section, in which Sean teaches things which most other teachers emphatically claim to be impossible. On the whole the two DVD set is ideal for experienced hypnotists to refine their technique and expand their repertoire, and for beginners to learn all you need to in order have the confidence to use instant and rapid inductions out in the real world. The only drawback is, like most hypnosis DVDs, the quality is not perfect (e.g., at one stage a rather rude student stands right in front of the camera as Sean demonstrates an induction) but the content easily makes up for this. I found that the DVDs taught the techniques in a way which made the inductions surprisingly easy to learn and understand (or maybe I am just responding to Sean’s hypnotic suggestions :D). I highly recommend these DVDs to anyone wishing to learn and master instant hypnotic inductions. First, the information in the videos is priceless. Anywhere else you would pay much more for less information. I have purchased really bad “allegedly” powerful techniques sold out there that make me wonder that the only way I purchased them was because I was hypnotized. Second, the DVD is literally a visual manual in order to achieve the techniques Mr. Andrews teaches. Third, his talent in conveying the message is outstanding and motivating. Fourth, Customer Service, Mr. Andrews backs up his products 100%. I called him because I had a question concerning one of the DVDs and he personally answered the call (he includes his card in the DVD case) and addressed my concern immediately! No questions asked or comments made. His actions were instrumental in my next decision regarding the possibility of taking his course. Since actions speak louder than words I decided to take his course. Boy was I impressed! If you can, TAKE HIS COURSE, you will never regret it. As an instructor Mr. Andrews is motivating and inspiring. He strives to make you feel part of his hypnosis family and is deeply concerned about your learning experience. Not like a lot of other schools/teachers that are just interested in making a quick buck or two. The most wonderful part of his program is the “outdoor experience.” You will be pushed out of your comfort zone by practicing outside of the classroom with total strangers. I promise after you break the ice you will want to repeat the experience every time you can. You will gain real life hands on experience. As an individual Mr. Andrews is a very knowledgeable, humble, and generous person. He wants you to feel comfortable with him and he is open to sharing his vast database of experiences. You literally feel like you are the only one in the classroom. Without a doubt his videos and class will exceed all your expectations. One regret though, I did not enjoy the privilege of meeting him earlier. Mr. Andrews may be considered the Worlds Fastest Hypnotist but he is also the World’s Greatest Hypnosis Ambassador. Sean Micheal Andrews is the worlds leading exponent of rapid inductions. In this DVD Sean Michael Andrews takes the viewer from the Dave Elman induction technique through to the Hand Drop technique. For those wishing to take further professional training in the subject, this DVD will give you a much needed head start. Sean Micheal Andrews takes a complex subject matter and breaks it down into easy to understand steps. For those wishing to carry out research into the subject matter, this DVD holds a wealth of information. For the seasoned professional this DVD will add to your repetoire. Sean you are the best, thank you very much for the example of deep trance, after that I am 1000 times better Hypnotist, thank you again and I am very happy because I have a friend like you. Kind regards. Amazing product! I highly recommend this DVD set to any hypnotist wanting to learn or improve upon their instant & rapid inductions. This is the best product that I have found on the subject. You will learn how and why these inductions work, and when they are most appropriate to use. Techniques are explained in detail with easy to understand instructions. You will be able to confidently begin practicing these inductions after your first viewing. There is useful information here for both novice and experienced hypnotists. A must have hypnotist’s tool. Sean Michael Andrews Instant Induction DVD is a tool every hypnotist should have in their tool box. It’s easy to understand and through in its explanation and demonstration. The instant inductions are great for working with clients as well as demonstrations to group.